When it comes to whisky Japan is a study in contrasts. The industry is largely controlled by 2 players – Suntory and Nikka – and it is often described as “closed”. In a sort of entrenched prisoner’s dilemma, the various distilleries, already limited in number, do not trade outside of their parent companies, hence restricting the variety of product available for blending, and forcing blenders to look abroad, primarily to Scotland, for alternative sources of malt whisky. This is a deeply traditional convention, rooted in the Japanese ethic of company loyalty, which has to a large extent inhibited the industry to the point where, until fairly recently, Japanese whiskies were largely unknown, and undrunk outside of Japan. Two series of events changed this course. 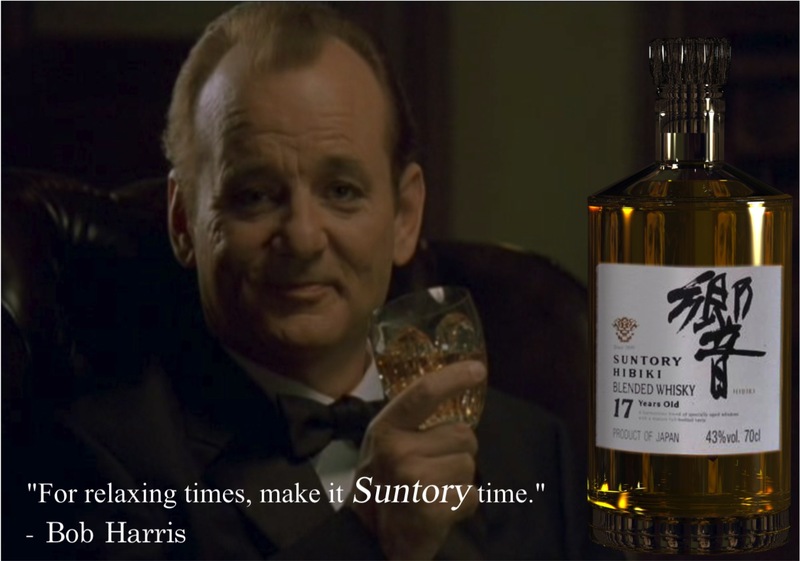 Firstly, Bill Murray, sworn enemy of gophers and ghosts alike, proved himself a great friend to and an unprecedented ambassador for Japanese whisky by dramatically elevating its global awareness in the 2003 film “Lost in Translation”. You can’t buy that type of publicity. Secondly, in 2008 two Japanese whiskies, Yoichi 20yo and Suntory Hibiki, were awarded the titles of world’s best single malt and world’s best blend respectively by Whisky Magazine, which is one of the whisky industry’s most credible authorities. Since then they have been garnering awards left right and centre. On Friday night I was able to worship at the altar with a tasting of Nikka from the Barrel, a cask-strength, non-chill filtered, jack-in-the-box of a whisky. It’s a multiple award winner with flavour that really lets you know it’s there. Think fruits, candy-floss, and sweet bread. Highly recommended. Paradoxically the same issues which have held the industry back have also driven it forward. Starved of variety, Japanese distilleries began producing it for themselves. A Scotch distillery will typically only produce one type of new make. In Japan individual distilleries began experimenting with different barleys, different malting methods, different yeasts, and different stills to produce a variety of different single malts. Bamboo charcoal filtration has been introduced. High quality single malt has been made in a coffey still (unheard of elsewhere!). Japanese oak (mizunara) has been added to the ageing mix (the American and European varieties being the usual). And so on, and so on. Within the conservative outer shell there is a hive of innovation producing spectacular results. With product innovation clearly not an issue, perhaps the biggest challenge facing the industry is marketing and distribution. Japanese whisky, having been modelled on Scotch, is not intrinsically well differentiated, and it’s the relative newcomer. Subtleties and exceptions aside, the flavours are similar. It also doesn’t help that many Japanese brands still contain Scotch malts. It’s both difficult to sell something that’s not its own, and difficult to buy something that you can’t find. They can’t just rely on old Bill forever, so let’s hope they kick on and get this right. 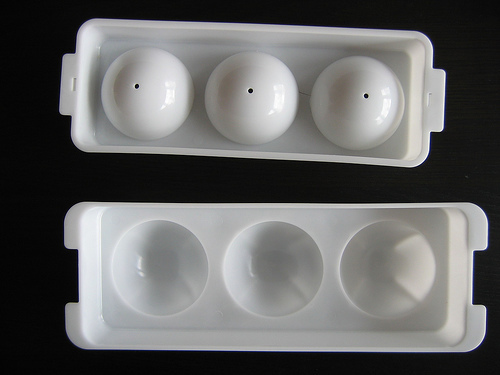 I mentioned yesterday that I was waiting for an ice-ball mould. Predictably – having tempted fate – it did not arrive. So I wasn’t able to enjoy my mizuwari as planned…cubes just won’t do it since ice-balls revealed themselves to me. Instead I had an oyuwari: whisky with hot water, a custom that was borrowed from the drinking of sochu (the indigenous Japanese spirit). Having no Japanese whisky at the ready I had to improvise with an Abelour 10yo, my table malt. It was interesting, definitely releasing the volatiles, but it’s an oddity rather like gluhwein, something that you might have and even enjoy, but only every now and then. I’ll wait patiently then for the mould to arrive, mix up that mizuwari, and make a fitting toast to the both the Japanese whisky industry, and, with current events in mind, to Japan in general. 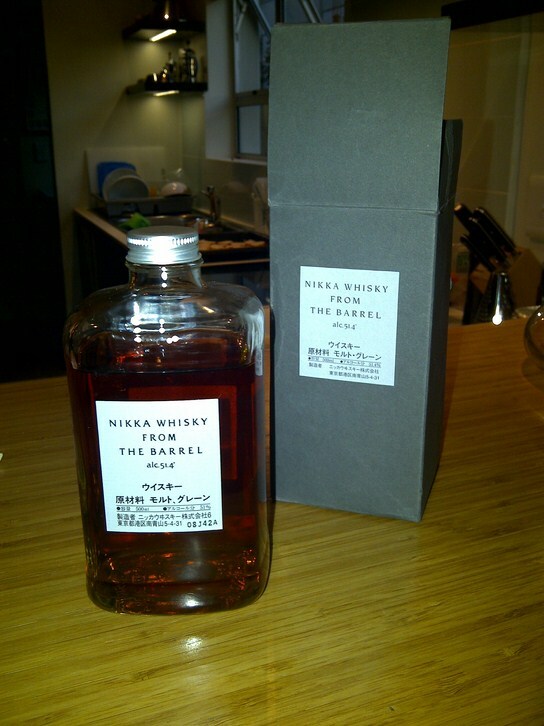 This entry was posted in Uncategorized and tagged Japan, Nikka Whisky, Whiskey, Whisky. Bookmark the permalink.